Move over Bill Gates, a Spanish billionaire is the new richest person in the world! TechJuice > Startups > Move over Bill Gates, a Spanish billionaire is the new richest person in the world! Bill Gates has been knocked off the top spot of the richest person by a Spanish billionaire that you probably have never heard of before. Just a few hours ago, Forbes came out with the news that Amancio Ortega, the co-founder of Inditex and its subsidiary high street clothing brand Zara, is now the richest man in the world. With an estimated net worth of $85 billion, Ortega has a $200 million edge over Bill Gates. The Spanish billionaire, who used to be a store clerk in his youth, co-founded the retailing brand Inditex with his ex-wife Rosalia Mera in 1975. The brand has been very successful and is now valued at $100 billion. Ortega collects $400 million in dividends from Inditex every year and more than 80% of his fortune comes from his shares in the company. Over the years, as the Inditex stocks have risen so has his net worth. 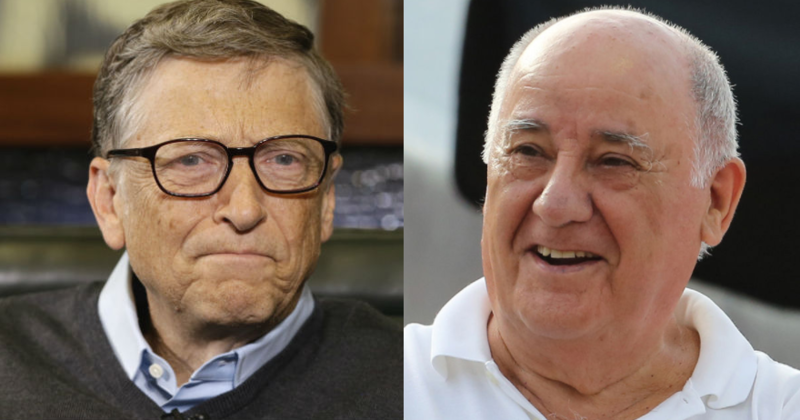 Amancio Ortega has been the richest person in the world three times and on every occasion, he has forfeited to Bill Gates just 24 hours later. He first became the richest person back in 2015 and then in 2016. Ortega’s claim to the top spot is mainly due to the fact that Bill Gates gave away $4.6 billion of his wealth to charity earlier this month. Moreover, Jeff Bezos, who was briefly the richest person and was over taken by Bill Gates a few hours later, has also seen Amazon stocks dip to a record low. As a result, his net worth had also declined, allowing the Spanish billionaire to soar past him to clinch the first place. How long will Amancio Ortega last as the richest person in the world this time? We’ll find out as soon as the stocks close today.